MegaFood Men Over 40 One Daily is wholesome nourishment for life in a convenient one per day tablet whole food formula designed for the nutritional needs of a man over 40. 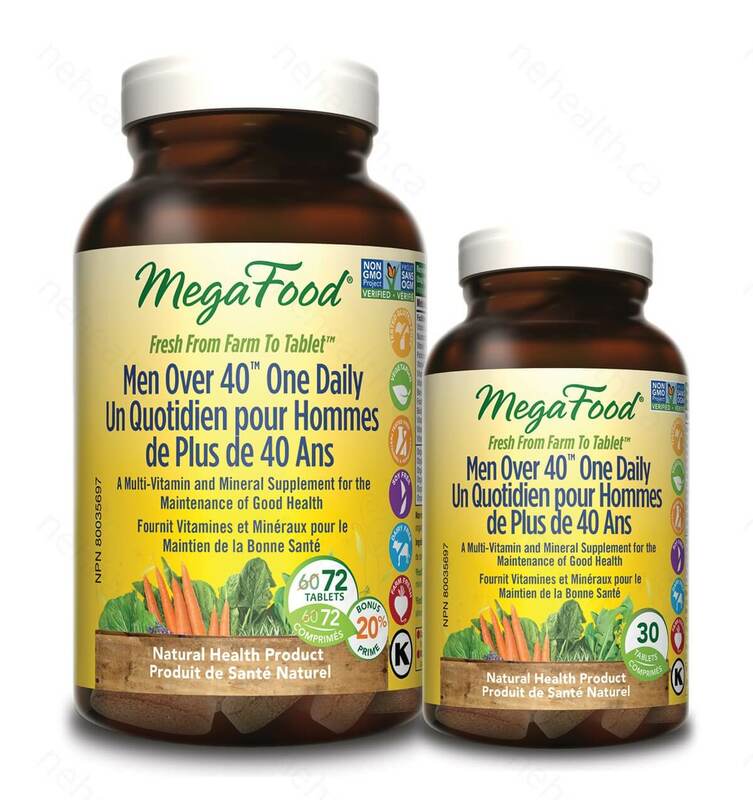 MegaFood makes whole food supplements made from REAL food fresh from the farm into a tablet. Non-medicinal ingredients: Farm Fresh Fruit Blend (fruit phenolic phytonutrients from organic blueberry, organic cranberry and organic orange), Organic Whole Brown Rice, Vegetable Lubricant, Silica and Cellulose (protective coating). FoodState Nutrients are made with a variety of farm fresh foods and S. cerevisiae (nutritional yeast) to deliver vitamins and minerals in a complete food complex that nourishes the body.